Offering you a complete choice of products which include ups battery, sf battery, sukam batteries, generator battery, sf sonic 150ah tall tubular inverter battery and sf sonic100ah tubular inverter battery. 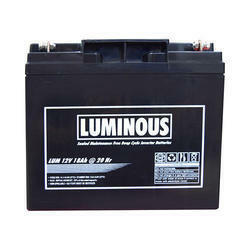 To suit the demands of customers as a supplier, wholesaler and trader, we are engaged in offering UPS Battery. 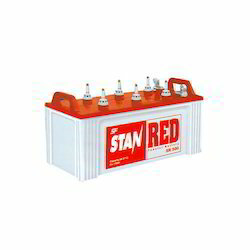 Enclosed in polyester tube to stop spillage, these batteries are manufactured with perfection at our vendor's premises. 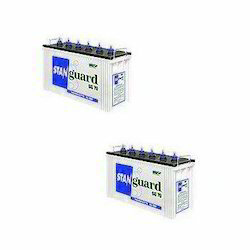 Widely demanded across the nationwide market, these batteries are suitable to use in UPS and inverters. Meeting the demands of customers as a supplier, trader and wholesaler, we are engaged in offering SF Battery. 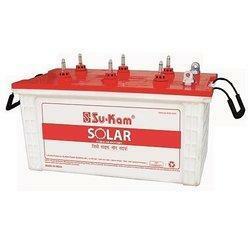 Applicable in home UPS and inverters, these batteries are obtained from the trusted vendors of the industry. 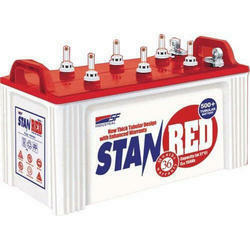 Can withstand frequent and long power-cuts, these batteries are demanded by our customers across the nationwide market. Our rich industry experience and expertise have enabled us to supply, trade and wholesale a wide range of Sukam Batteries. Suitable for a wide range of applications, these batteries are designed and developed with the support of ultra-modern machinery and cutting-edge technology that is installed on our premises. Knitting a vast distribution network, we are able to dispatch our products on-time to the customers' premises. Being a client-centric organization, we are engaged in manufacturing, supplying, trading and wholesaling Generator Battery. While manufacturing these batteries, we ensure to use optimum-grade materials that are obtained from the authentic vendors of the industry. Without compromising with the quality of the products, we have mustered huge client-base. Provides consistent performance under different climatic conditions. Quick charge acceptance. Extra top electrolyte for less frequent water topping. Extremely long life and have low maintenance. The SF Industrial Range of Industrial Lead Acid Batteries stand for abundant power, undaunted by the challenge of Indian conditions. All batteries provide power but it takes only an SF Industrial to perform at peak power, always. This matchless range of batteries for Online UPS, Off Line UPS & Home UPS applications redefines durability, defies the years and breathes new life to power. The power packed SF Industrial battery does not merely last long. It Lives Long. Stays Strong. Throughout its long lifespan, the power never drops, come what may. Thats what makes SF Industrial batteries so unbeatable. 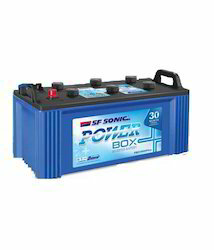 Looking for Power Battery ?